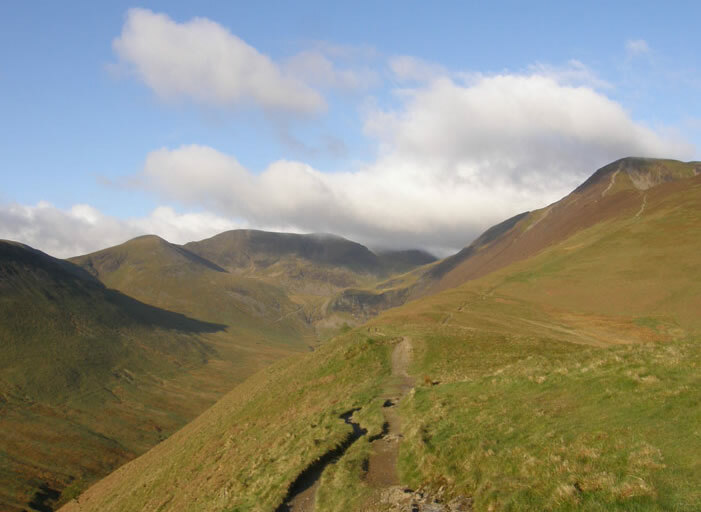 Camping at Scotgate, Braithwaite, I chose to start with a familiar ascent of Grisedale Pike and then allowed my boots and imagination to carry the walk forward. 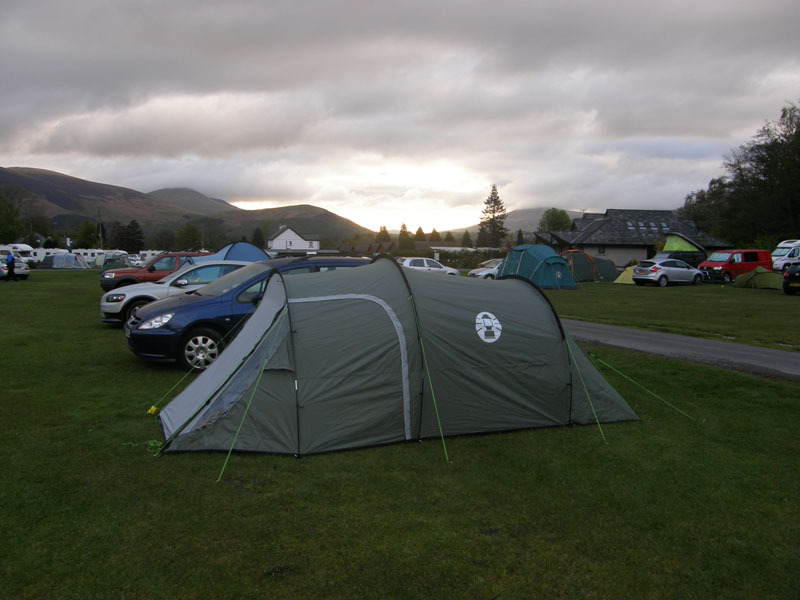 Start time of 06:20hrs, the promise of a fine day has inspired the camping trip and early start. 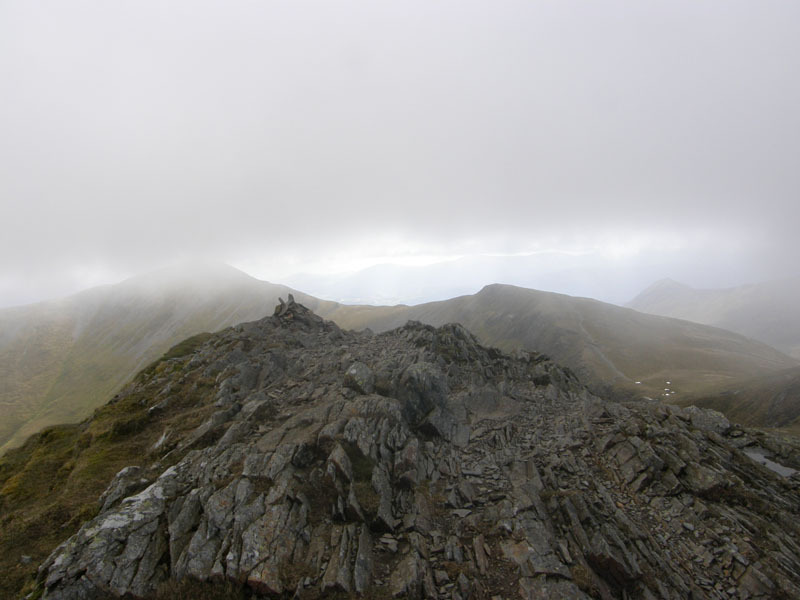 It looks like it might take an hour or two to get the skies clear of misty mountain cloud. 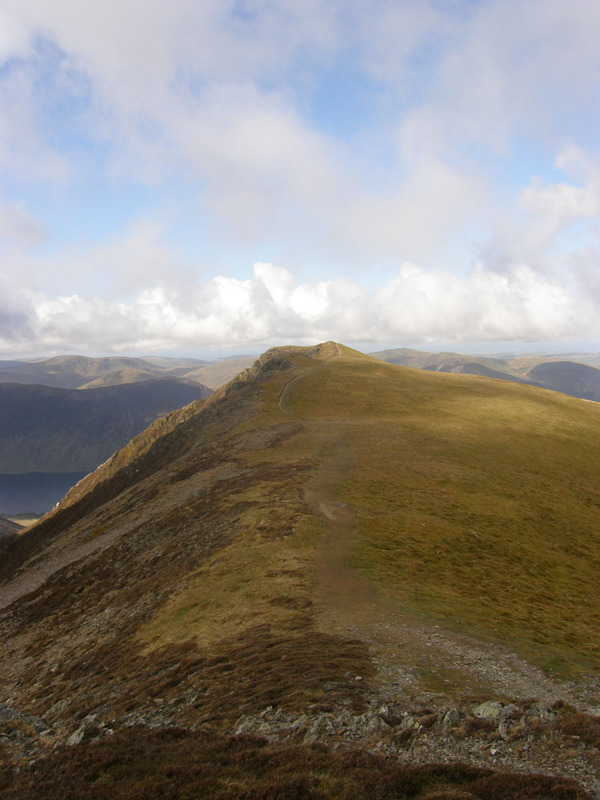 The data from previous ascents tells me that it takes two hours to get from the middle of the campsite to the top of the fell. 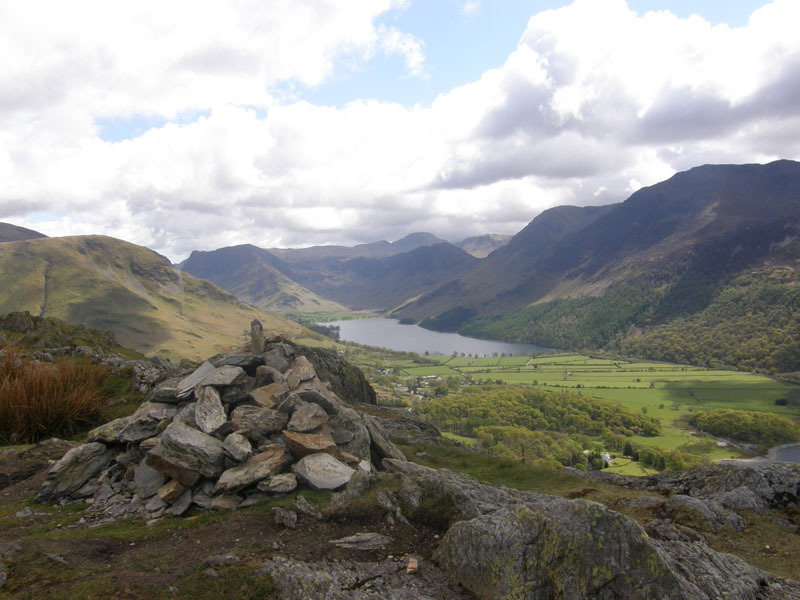 When I write my book on the Boulders of Lakeland, this one might well get a mention. 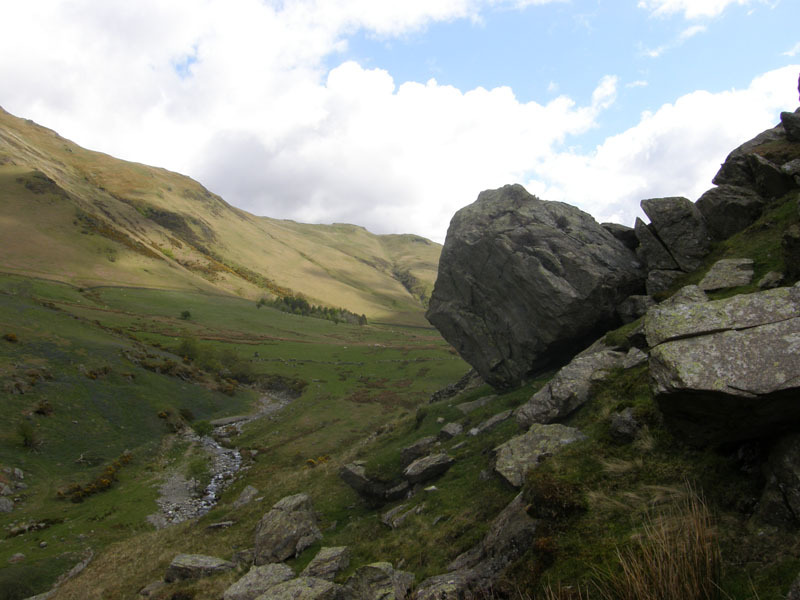 The North-Western Fells (Wainwright) are largely devoid of notable boulders; this one is passed by hundreds; no, thousands of walkers every year. 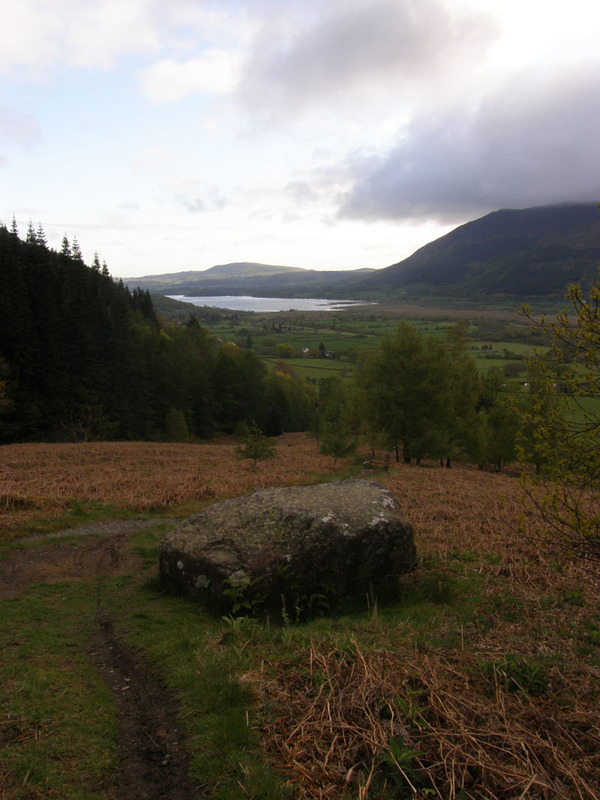 Bassenthwaite Lake is in view. Stile End is the bump nearest me and is at the end of the ridge, with Outerside to the right on higher ground. 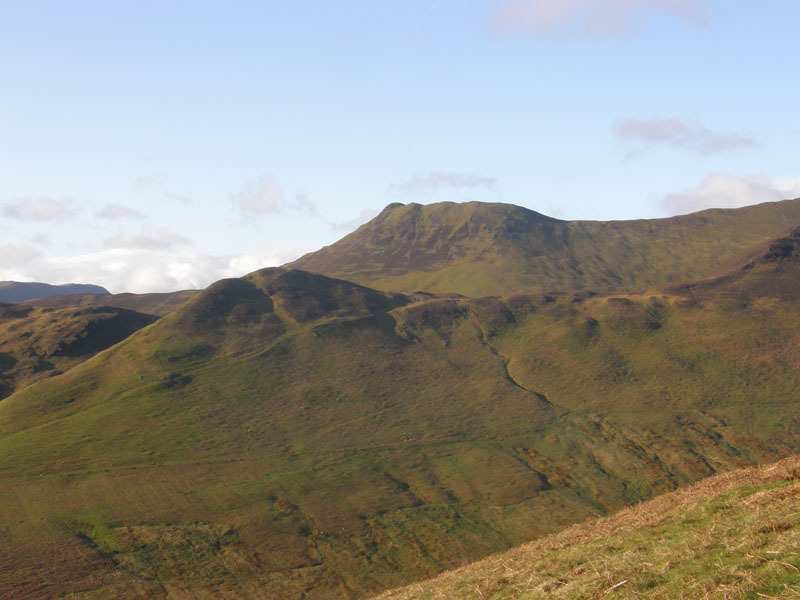 Causey Pike is further away. 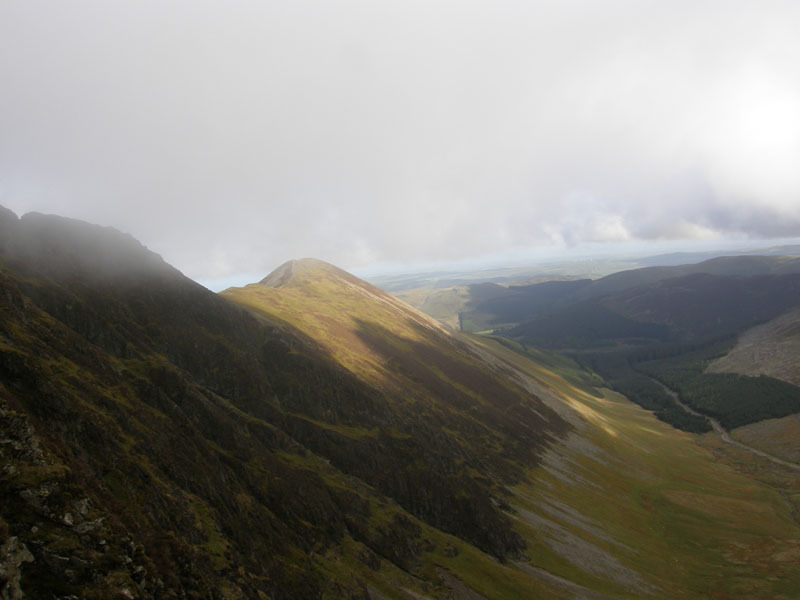 Grisedale Pike up to the right, Eel Crag just under the clouds and Sail to the left. 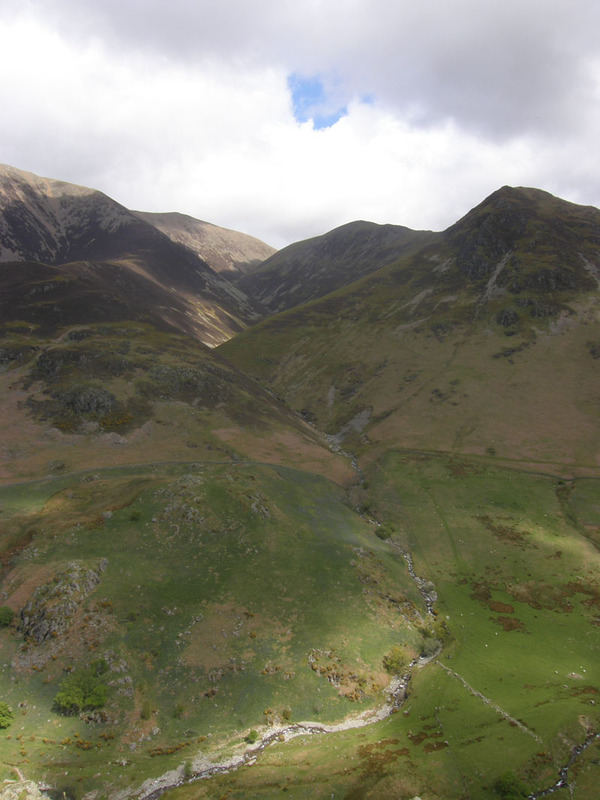 The head of Coledale and Force Crag. The mine buildings are open for tours next Sunday (20th), see National Trust for details. 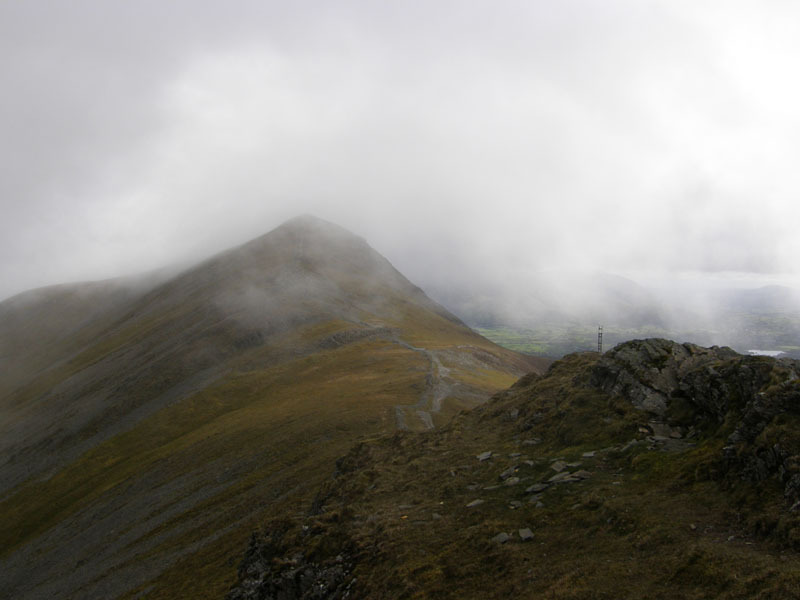 The top of Grisdale Pike was plagued by misty cloud at the time of my visit and I had to wait for these brief photo opportunities. 0820hrs and bang on time! 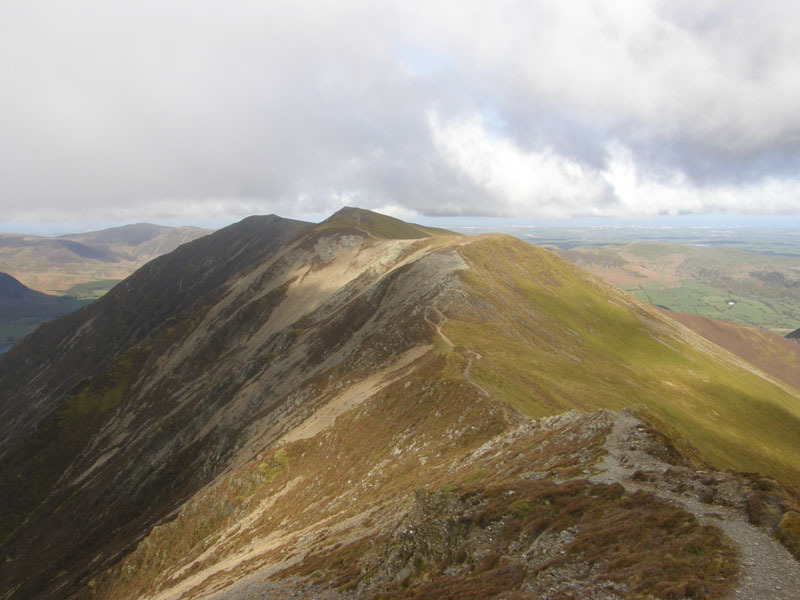 What Grisedale Pike can boast in terms of position, ascent routes and fine views, it must be mildly embarrassed by its lack of summit features. Somewhere to sit would be nice. I seem to be getting clear of the wispy cloud blown in from the coast. 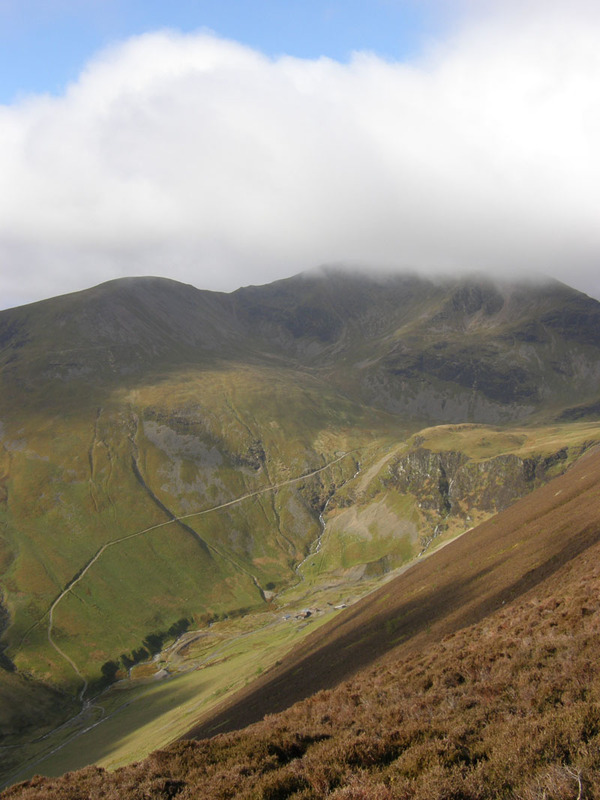 Looking at Grasmoor, Dove Crags overlook "the profound hollow scooped out of its north flank" - Wainwright details a walk up this way on Page 5 of "Grasmoor" - from Lanthwaite Green. Hands Up who's done that! Not many, I suspect. Possibly. 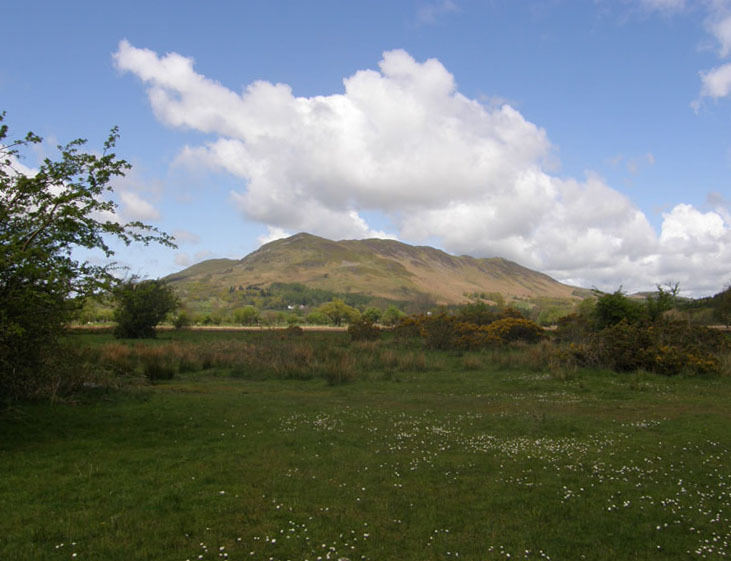 It deserves to be the top of this fine mountain that is Whiteside - especially fine when viewed from the north-west approaches. 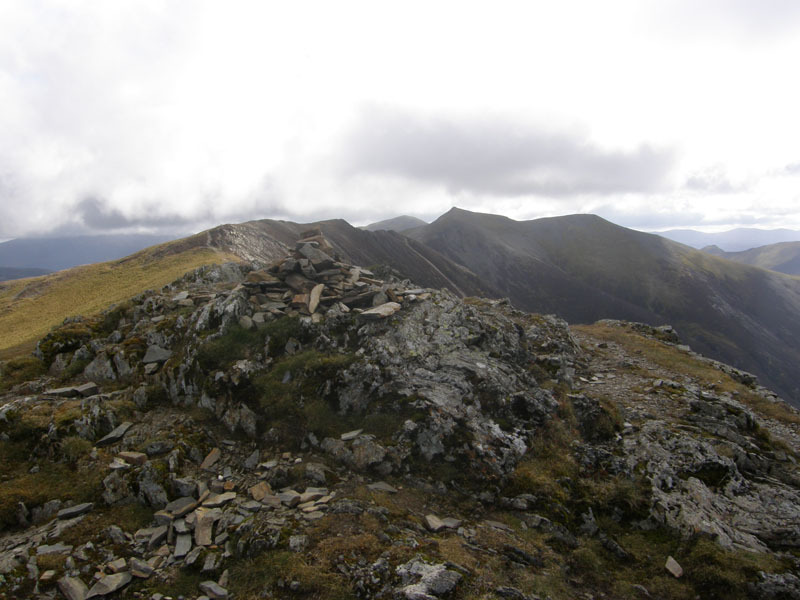 Clearly the highest point is further back along the ridge, but arguments rage on whether or not the "Summit" has to be the highest point. 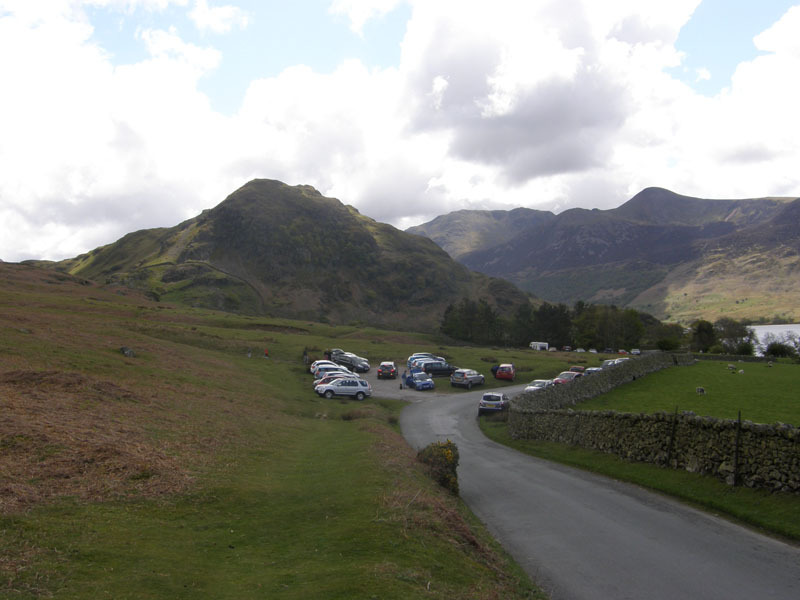 Well, maybe not "rage" but Seathwaite Fell? 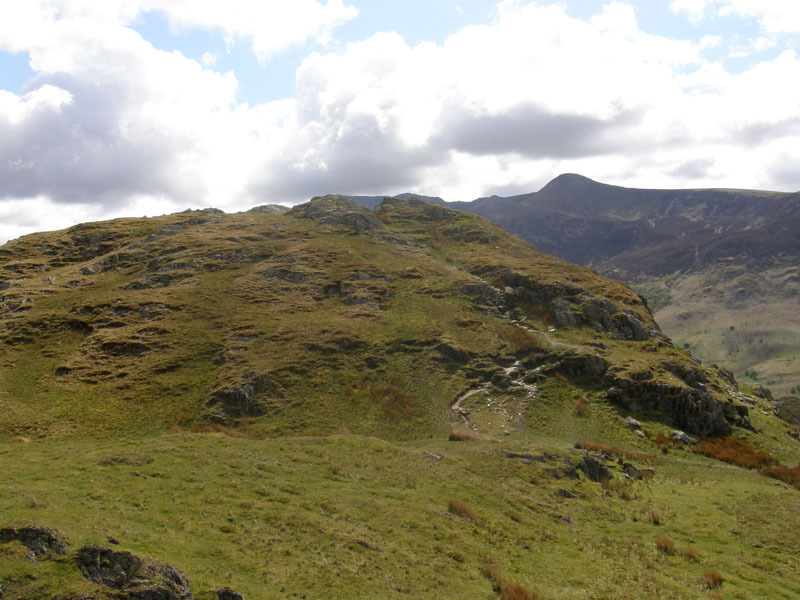 Rosthwaite Fell? and there's one or two more that I can't think of just now. It was at this point that I thought I would add Mellbreak to today's walk. The map showed a path off to the north-west and heading for the Hollins's. Don't bother with it! 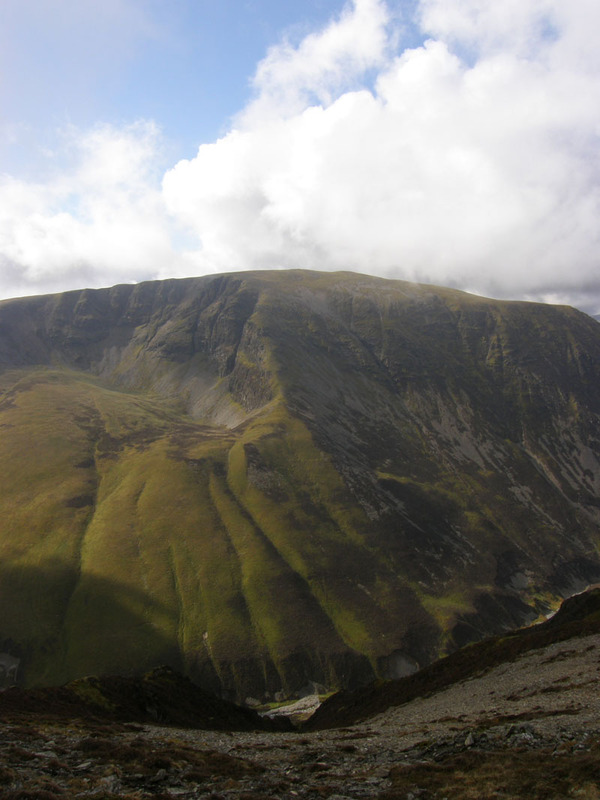 It becomes loose scree and then disappears. Refer to AW Whiteside 7 if any further information is required. I lost the path and found it all rather tiresome. 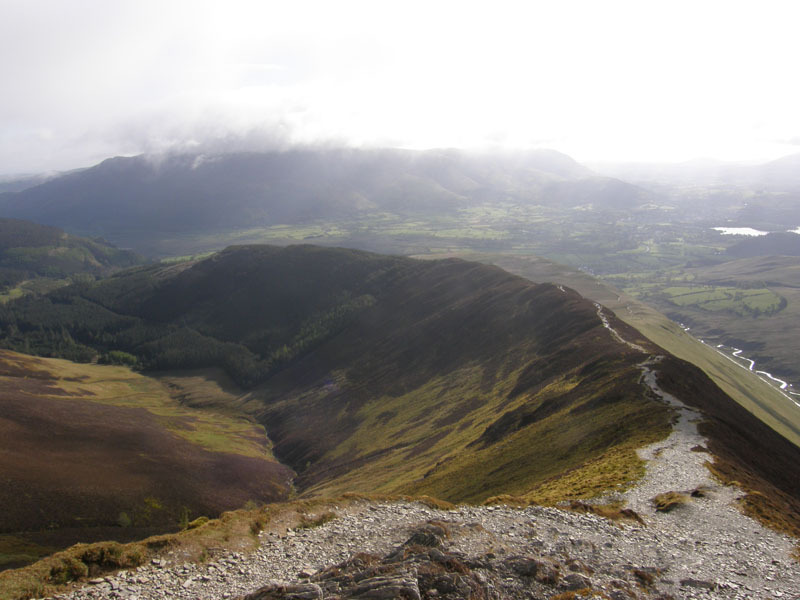 I suppose if I hadn't come down this way, I wouldn't have enjoyed these views. 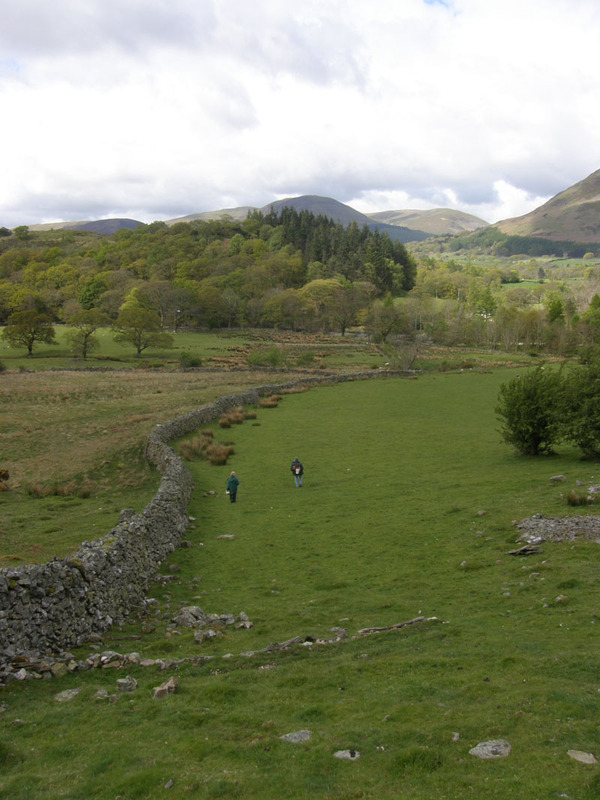 There is a footpath to Beck House along the right-hand side of the stone wall (centre-ish) and I took the path which skirts Brackenthwaite How to the right and then joins the road to/from Loweswater. 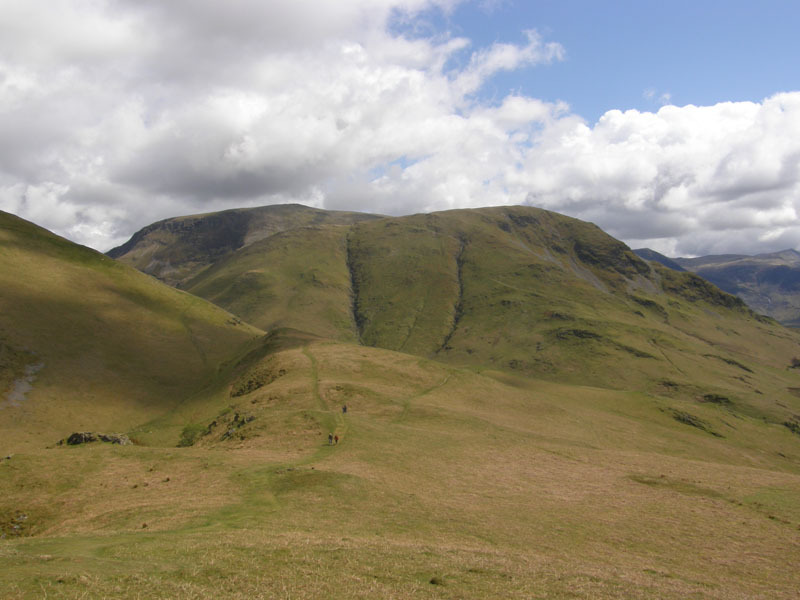 A nice grassy, level bit after the rigours of the Whiteside descent. 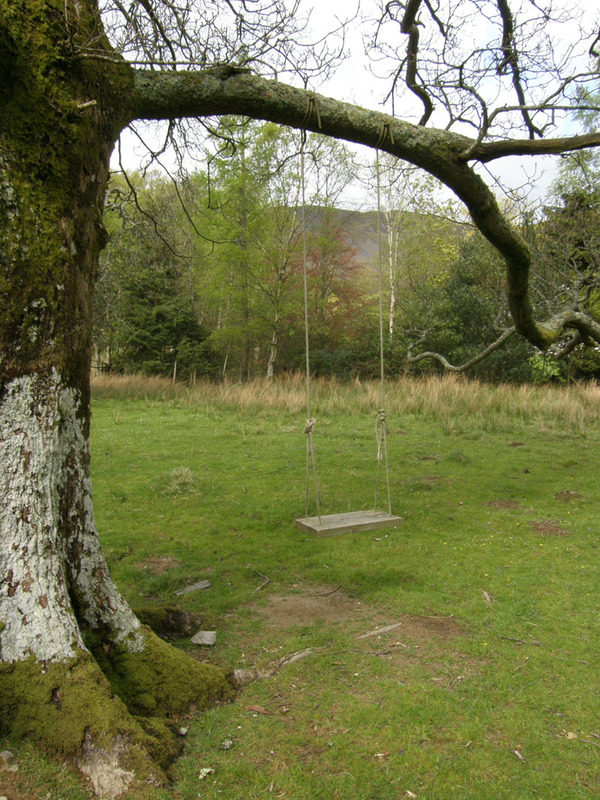 The swing...well it didn't say "private" or carry an age or weight restriction (I'd have failed on both counts), so I had a go. And it's still there and so am I! Thanks, local person, for providing this distraction. I walked past this cottage, there was a wild party going on in the garden, beer being delivered, very rowdy, four chaps on the roof, bbq and fireworks, not what you might expect*. 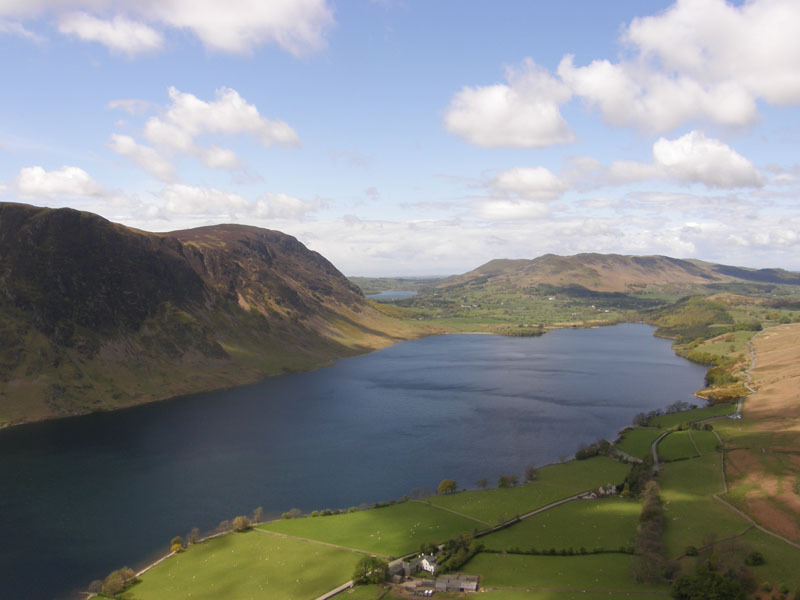 I took the "No Road To The Lake" route to Crummock Water, new territory for me. 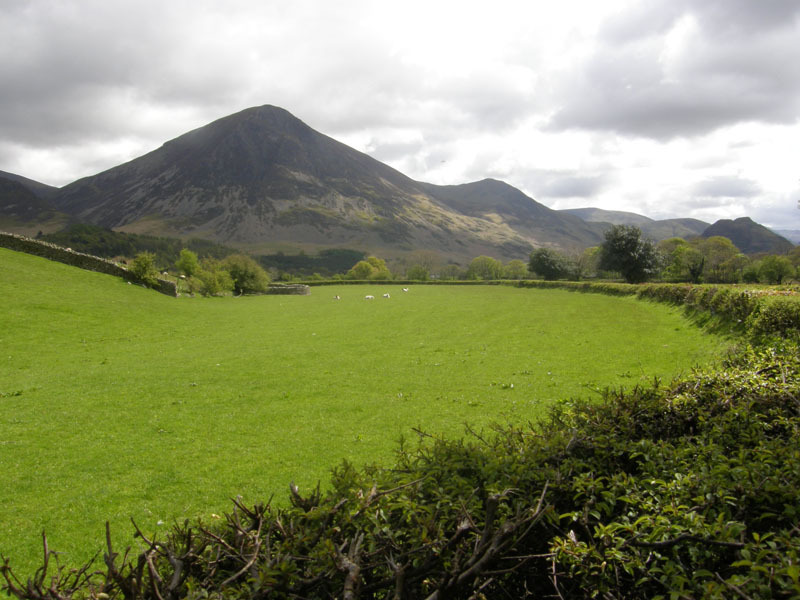 Here's more grass and Grasmoor. 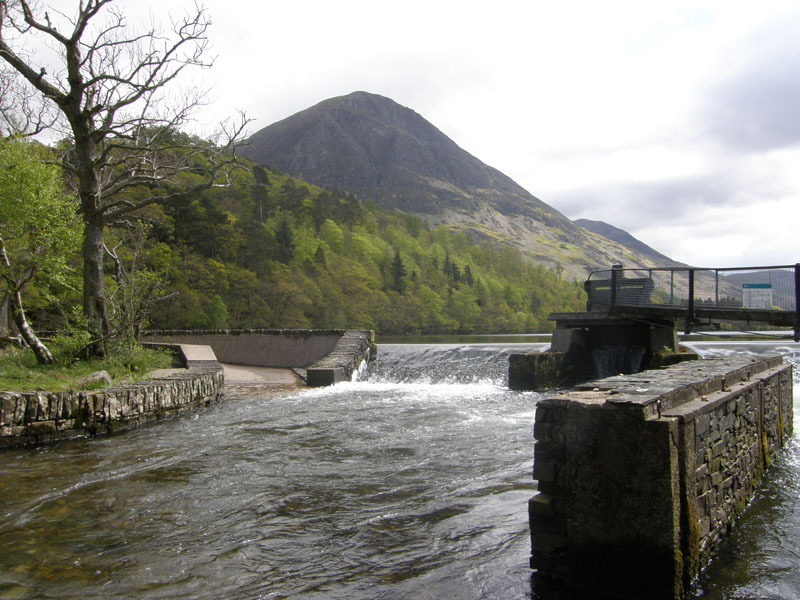 Water furniture at the Crummock Water Dam and outflow. I'm heading around the east shore of the lake. So, what was more exciting than a walk up Mellbreak? Many cars at the "common". What has everyone come to see? Ah! 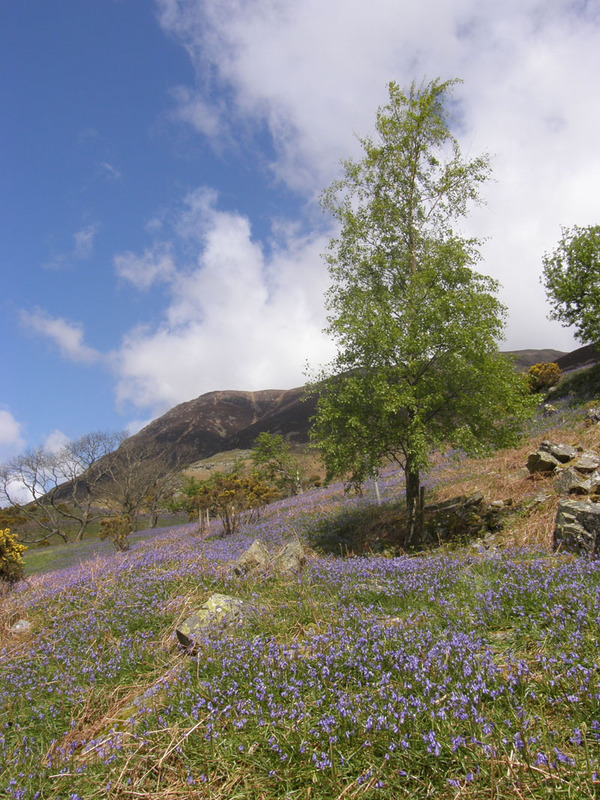 I see, not just bluebells, but The Rannerdale Bluebells! 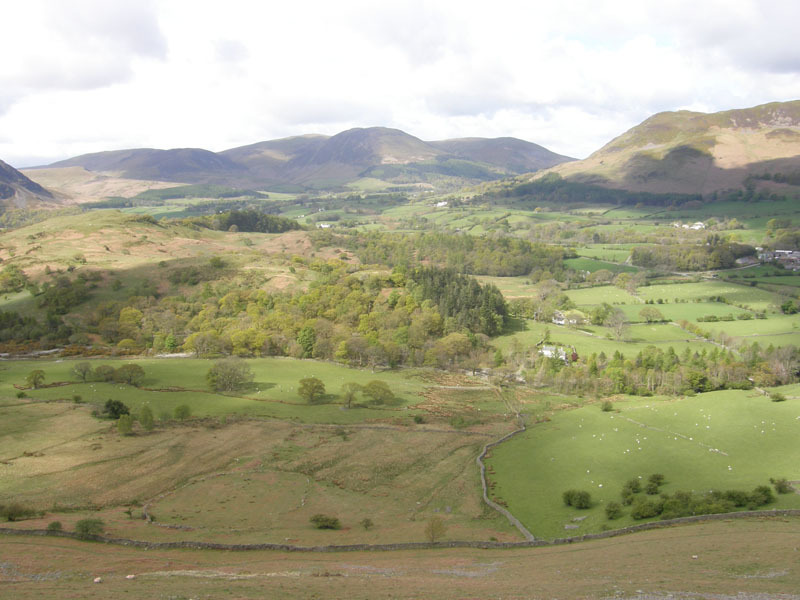 Botanists and nature lovers come from far and wide to see the fields change colour every year. Are these overrated? Have you seen the Dudley Dandelions? 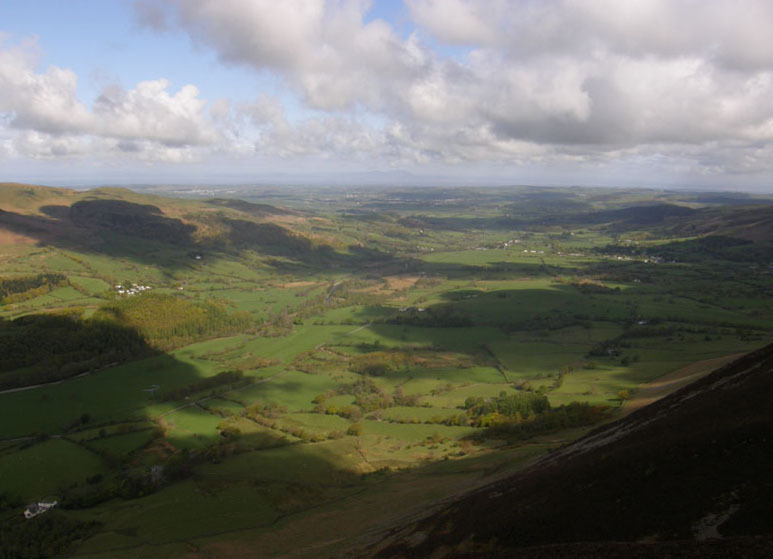 The Pendle Primroses? Nettleton's Nettles? 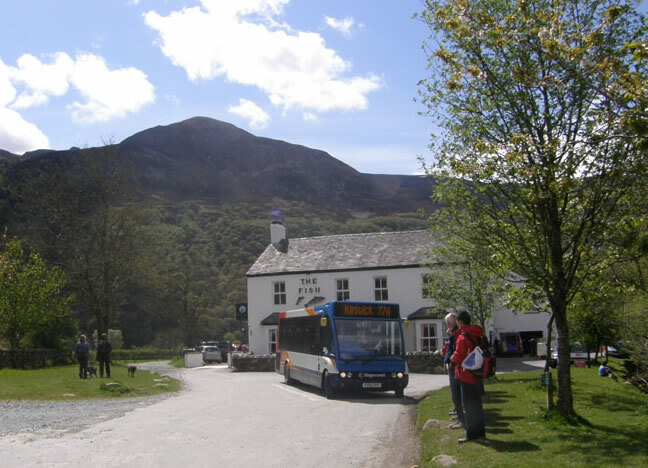 Decision time, I have exactly one hour to get up and over, or around, Rannerdale Knotts, to catch the 14:25hrs bus back to Braithwaite. 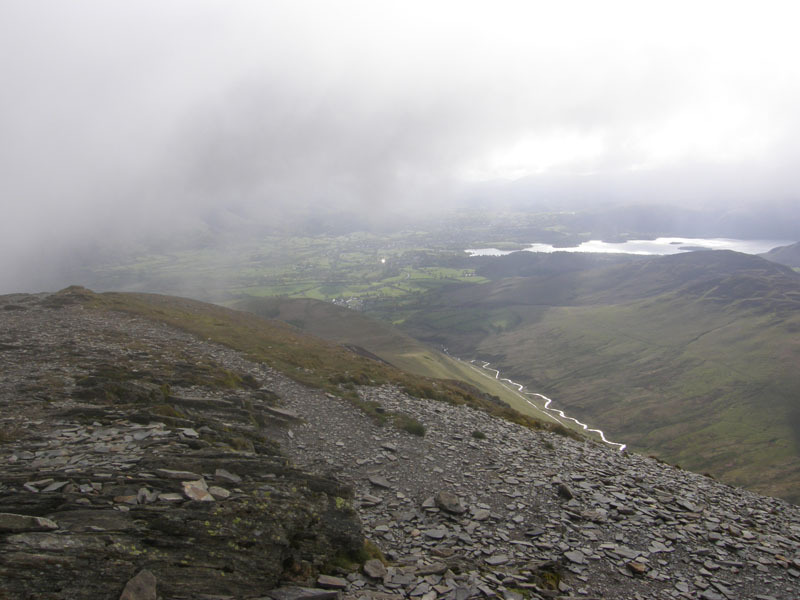 Alternatively I can take a mountainous route or maybe a "pass" back to the tent. I go for the up and over and try to catch the bus. Nobody here! Deflated, not for the first time this weekend (see later). No time to linger on this, my second ascent of RK. 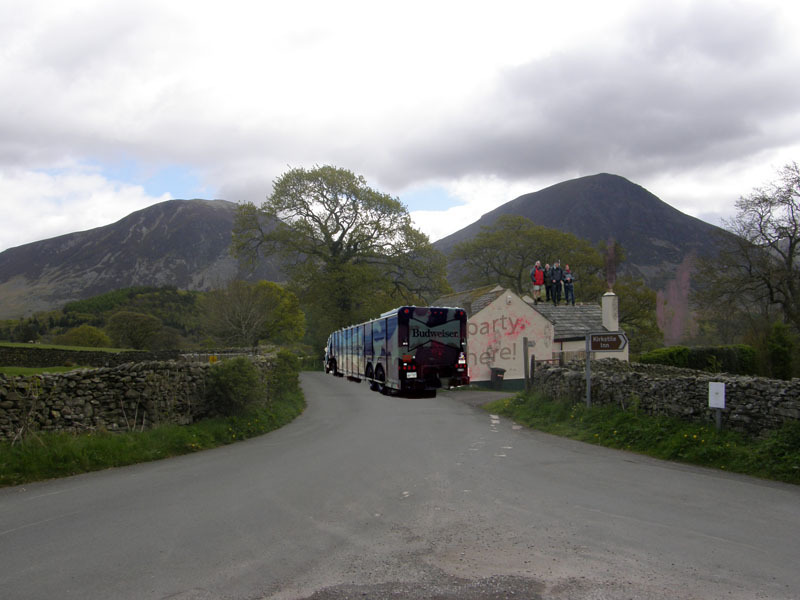 It's a fine place to be, but I've a bus to catch. Blimey, an out-of-breath, perspiring walker joins the eight already waiting. But will there be room? It's a popular service, especially for those who put their passes on the top of the driver's ticket machine. Luckily I got a seat, observations of mine suggest that me and two others out of nineteen passengers will definately have paid. Ah, Market Forces! Provide something for nothing and watch demand grow. Maybe, we should try that at work, that'll get the machines busy! Time taken: 8hrs 5mins over a distance of about 13 miles, including bar time in the Kirkstile Inn. 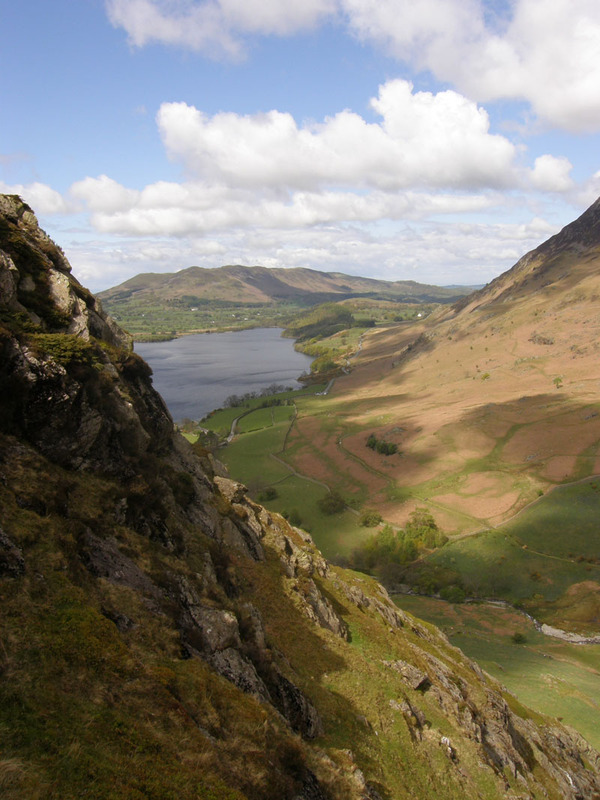 Route: Braithwaite, Kinn, Grisedale Pike, Hopegill Head, Whiteside, Brackenthwaite, Scale Hill, Loweswater (village), Kirkstile Inn, Peel, Crummock Water, Rannerdale Knotts, Buttermere. 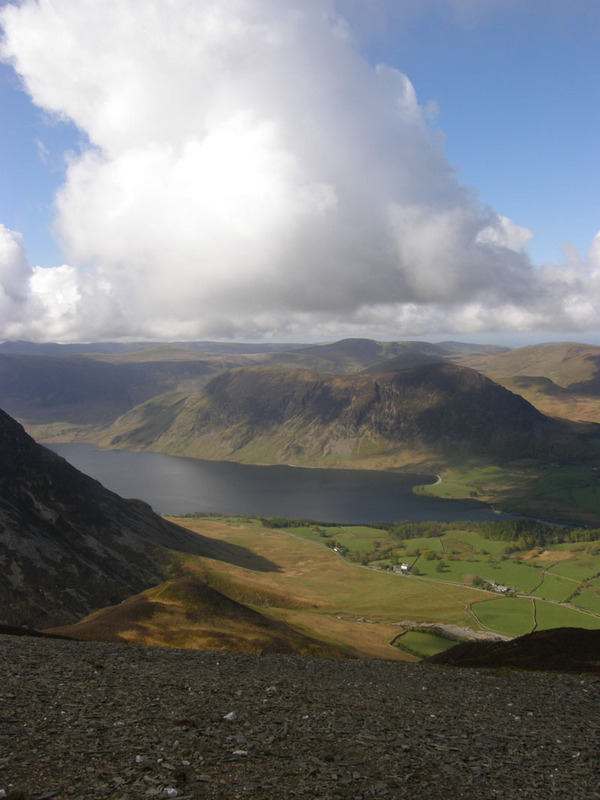 Weather and Conditions: Slow start, then sunny intervals and a brisk, but not troublesome, north-westerly breeze. 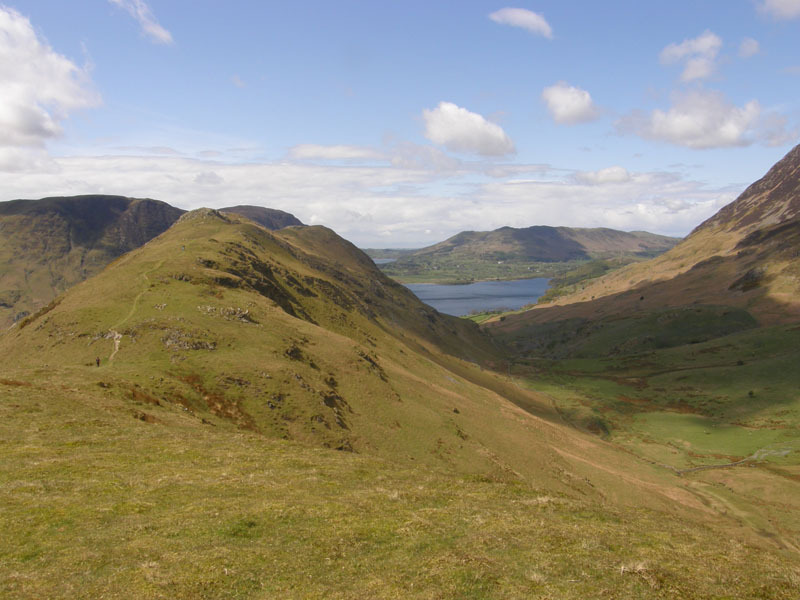 Greetings Count: I met an out-and-backer on Whiteside, the two field walkers near Brackenthwaite. 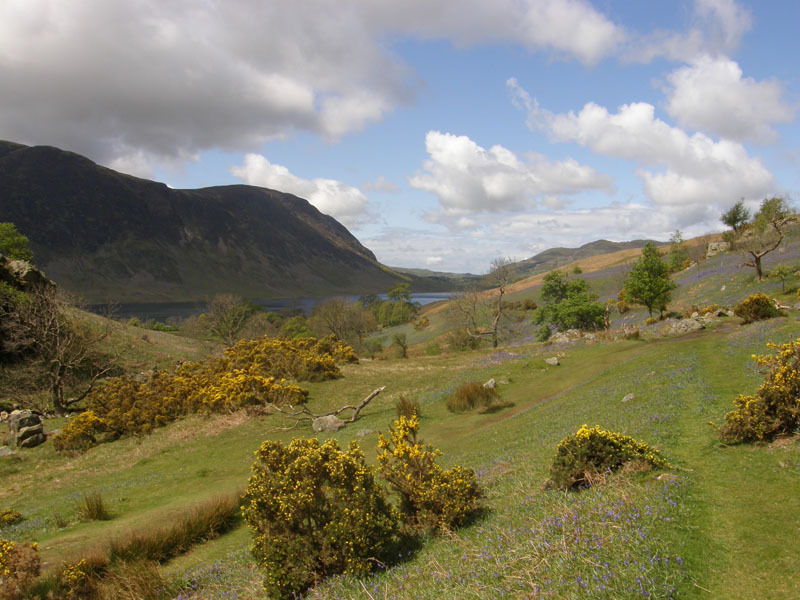 From Loweswater onwards, it was rather busy. 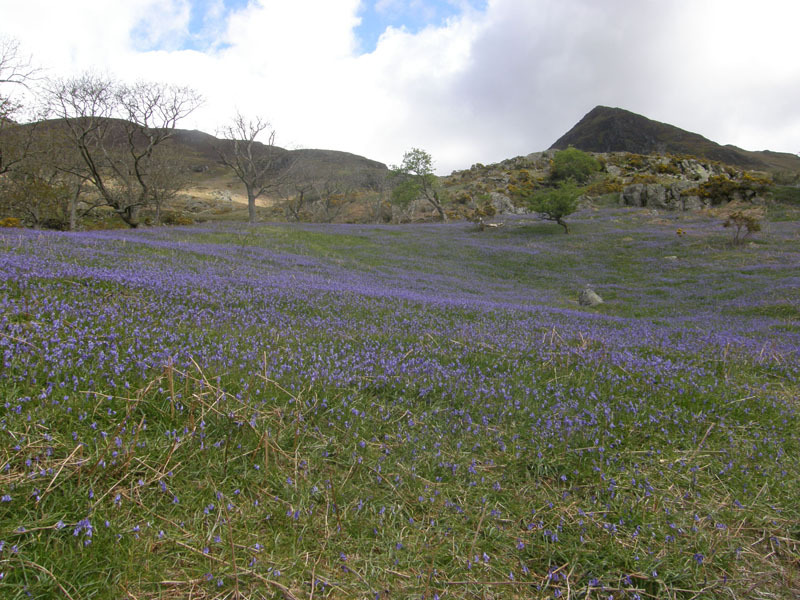 The bluebells draw the crowds, I was there just for research purposes. 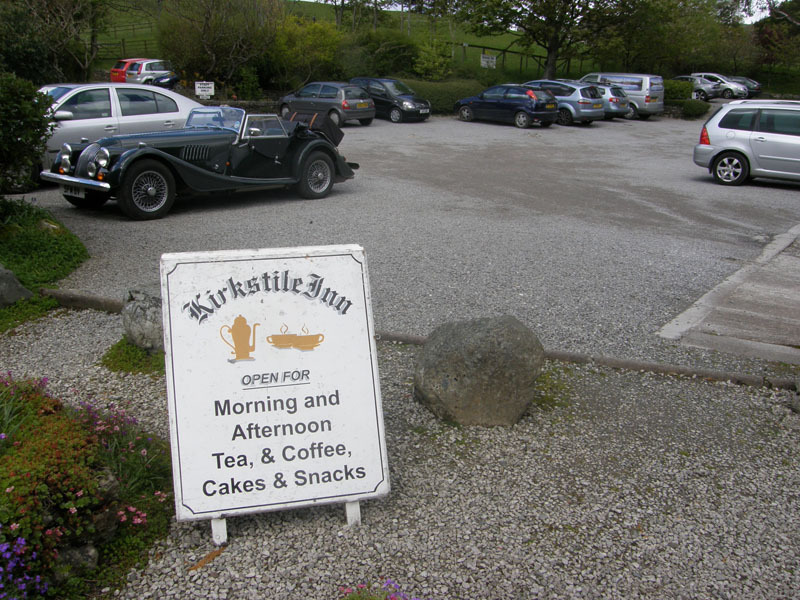 Richard's Refreshment Review: I ordered tea and a toasted teacake at the Kirkstile Inn. Just the job, pity it was a scone with jam that appeared instead of the teacake, but that's not the worst thing that could ever happen, is it? 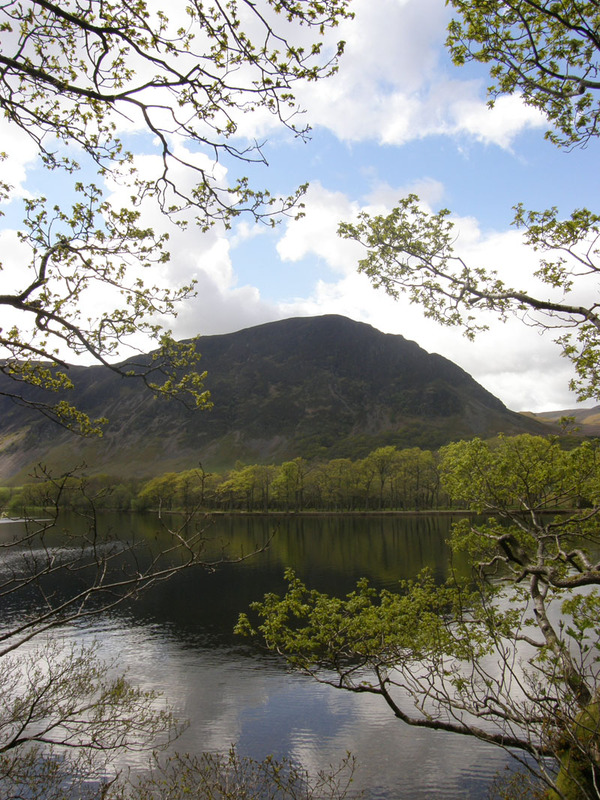 * only joking, it was all very quiet in Loweswater. I was deflated, for the first time this weekend, in the tent when I woke in the middle of the night to find the new airbed had lost most its air, not ideal.